recycling. 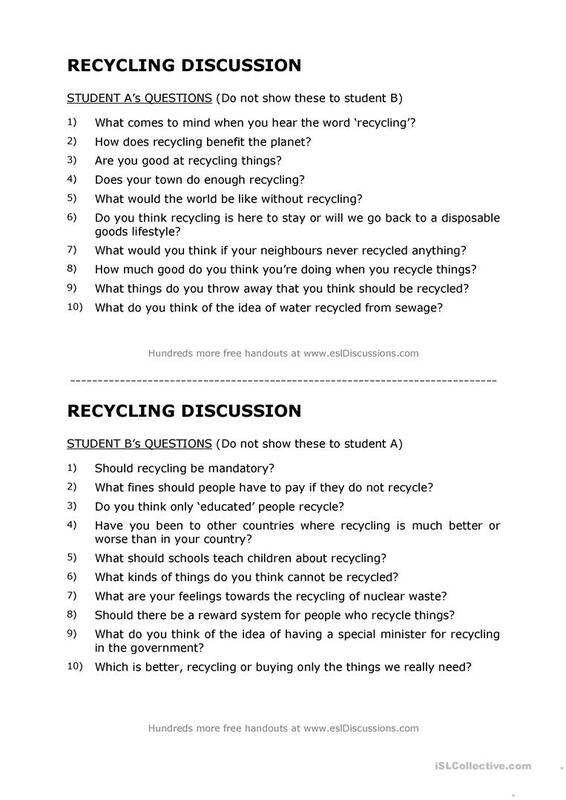 There are ten different questions for each student. Good to review vocabulary, keep them talking or as a warm up to introduce the topic. I got this exercise from another site and I think it is really nice. Hope you like it. The present downloadable handout is a great resource for business/professional students and adults at Pre-intermediate (A2), Intermediate (B1), Upper-intermediate (B2) and Advanced (C1) level. It can be used for honing your students' Speaking skills.